This guide will point you to the best brunch options in the area tailored by occasion (Easter, Mother’s Day, Father’s Day, Thanksgiving, Christmas, etc). 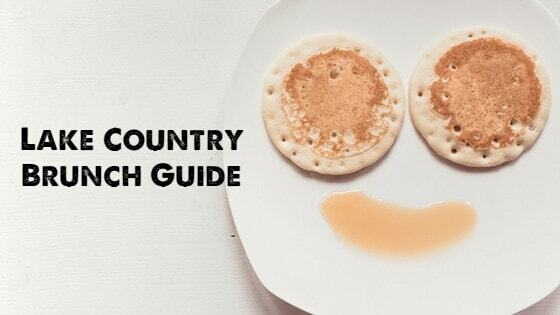 What’s great is that most of these locations offer brunch year-round, no matter the occasion, so this guide is a great place to start when looking for a local brunch! Grab a bunch and go brunch! Note: Mother’s Day brunches get very full in this area. Some brunches may be offered on Saturday; be sure to check the date! Reservations are recommended (some places required). Some places fill up reservations up to a week or more prior, so make your plans today. Rates and availability subject to change – please call to confirm brunch details. Reservations Required. To make your reservations, please call (262) 547-0201. JOIN US MOTHERS DAY FOR AN OUTSTANDING CHAMPAGNE BRUNCH, LOUIE WILL BE CARVING PRIME RIB AND BAKED HAM ALONG WITH ALL THE WONDERFUL BREAKFAST AND DINNER ITEMS WE WILL BE OFFERING. LET MOM ENJOY HER FAMILY WHILE WE DO THE COOKING! Note: Ron’s Cozy Corner won SECOND place in our annual Best Local Fish Fry Voting Competition!!! TOAST TO MOM THIS MOTHER’S DAY: Celebrate mom this year with us! On May 12th, moms get a free Mom-osa or Lowlands Brewing Collaborative Bier (because moms like good bier too!) at any Lowlands Grand Café! So enjoy a great meal together, give her a big hug, and toast to the first lady in your life! Details: Our Cafés are taking reservations for parties of 6 or more for Mother’s Day Brunch, so round up the fam and join us without the holiday wait. All moms will also receive a special promotional card that will be good for a “$10 OFF $30” purchase that’s redeemable once a month for the next year! Complimentary Glass of Wine for every mom! Brookfield/Waukesha, from 10:00 – 2:00. Hartford, from 10:00 – 2:00. West Bend, from 10:00 to 2:00. Time(s): Join us May 12th at the seating time of your choice, 12:00pm or 2:00pm for our Holiday Tradition of celebrating Mother’s Day. Price: $34.05 is your Adult buffet price, 20% service charge and 5.1% tax is included in your final total price paid. You will be assigned a table in the dining room with other guests. Private tables will only be available for those with full parties of 10 or more. Extras: Moms get a FREE MOMosa / Featuring Prime Rib Carving Station, Breakfast Items, Entrees, Desserts & More! Details here. Extras: Moms get a FREE MOMosa / Featuring Breakfast items, Entree Items, Fruits, Veggies, Desserts & More! Enjoy Mother’s Day Brunch at Matty’s! Join us for a delicious Brunch Buffet Two Carving Stations, Breakfast Bar, Delicious Desserts and More! Celebrate mom and treat the entire family to a Mother’s Day brunch buffet in the historic 1894 Clausing Barn. All moms receive a free mimosa with brunch! After brunch, stroll through Old World Wisconsin’s grounds and visit the farms and the crossroads village. All moms receive FREE admission to Old World Wisconsin. Must purchase tickets online in advance. Details of the menu here. Reservations are required. Call to make reservations 414.453.2410 or by sending an email to events@sazs.com. Saz’s Famous BBQ Ribs with our Original BBQ Sauce (Gluten Free), Belgian Waffles with Wisconsin Maple Syrup, Saz’s Signature Pastrami Hash, Chef Carved Applewood Smoked Ham with Pineapple Brown Sugar Glaze and Assorted Mustards, Food for the Kids, And so much more! Mother’s Day is the perfect time to take a stroll through the gardens with the whole family! The Friends of Boerner Botanical Gardens will be offering FREE kids activities including make-and-take gifts for Mothers and grandmothers! Garden admission not included as part of FBBG event. Prices: Adults $16.99 | Kids 3-10 $8.50 | 2 yrs. and under eat free. Please confirm menu/availability of breakfast items and/or brunch at locations below before attending. Restaurants change their menu/options often. 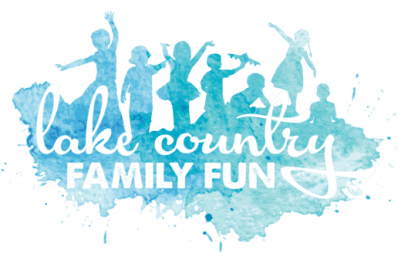 Find Easter Egg Hunts, Easter Activities, Easter Events, Easter Brunches, and Easter Basket Stuffing ideas! See our weekend guide, to plan other fun Easter Weekend events!! Know of a Good Brunch that isn't Listed Above? Did you notice your favorite brunch spot not listed above? Please reach out via the Contact Form below to send us your amazing Lake Country brunch!